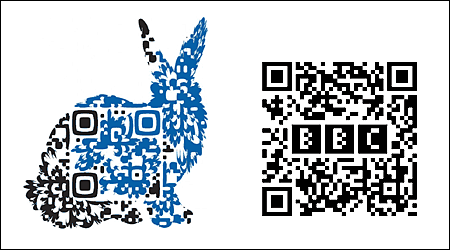 There are various ways in which QR codes can be used. 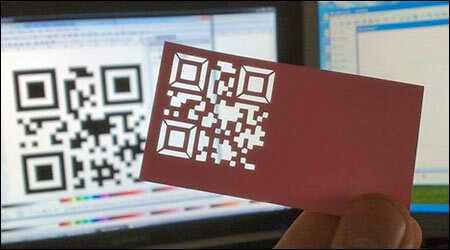 This page highlights some creative uses of this bar code technology. All too often an advert containing a QR code already tells you everything you need to know so that there is little incentive to scan the code. In the example below, nothing is revealed. 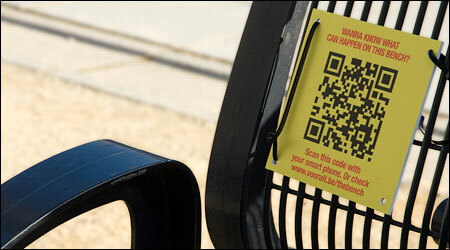 If you want to know what will soon happen on that bench, you have to scan the code. For people who don’t have a smartphone, there still is a URL that they can look up later. The code takes you to a website but for events such as festivals or concerts. It might be a better idea to embed an event in the QR code. That way when the code is scanned, the festival is automatically added to the user’s agenda on the phone. 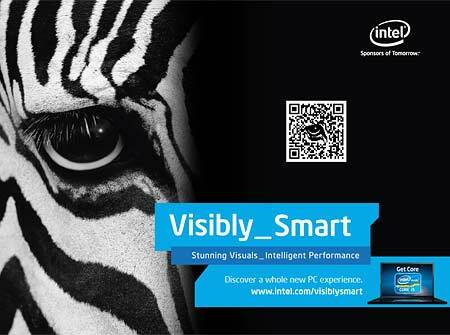 Unfortunately not all QR scanners or readers can handle event QR codes yet. Some of the modules (pixels) in a QR code are used for error correction. If some part of the barcode is read incorrectly, those extra bits assure that the qrcode reader code can still interpret it properly. Some designers abuse this mechanism on purpose to embed other graphic elements in the code. The rabbit example below from the Japanese design agency SET shows how far you can go. 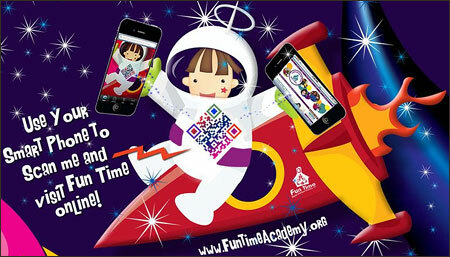 Another way to abuse this mechanism is by embedding some other content into QR codes. Adding a logo is a popular option, as can be seen in the BBC programmes code to the right. For a more elaborate description on how to embed such a logo check this page. One of the main objections against the use of QR codes is that they really stand out and have a big visual impact on the layout. This is not necessarily a disadvantage as the examples below show. The first one is from TheDirectMailMan. Notice how the code is not in black but uses fairly dark colors that match those of the illustration. The second example is once again from the SET design agency. I don’t think this code can actually be scanned – it is an advertisement for the codes that can be found on the cans themselves. … or in a layout. I Live in the Future and Here’s How it Works is a book from New York Times technology reporter Nick Bilton. 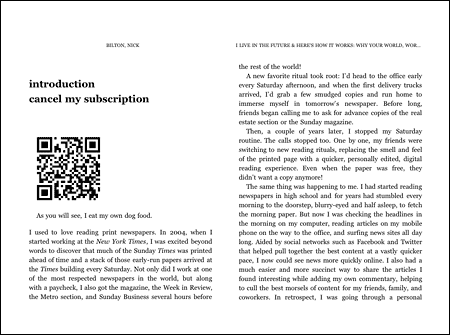 Each chapter begins with a QR code that takes the reader to a website containing related articles, videos and other information. Finishing can make a design element stand out. Obviously that applies to QR codes as well. An interesting but expensive process is using a die cut for the code, as shown below. 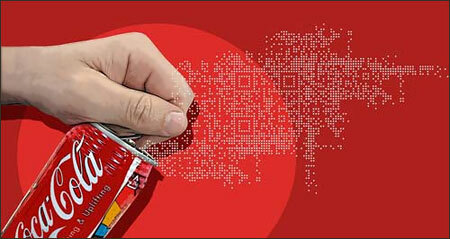 You can see a lot of examples of the creative use of QR codes on business cards on this Webdesignerdepot page. 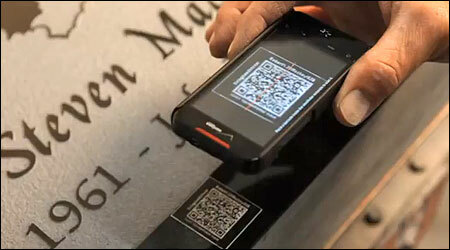 Quiring Monuments place QR codes on tombstones so that visitors can learn more about the deceased. This may be pretty new in the US but using qrcodes in cemeteries is not uncommon in Japan. 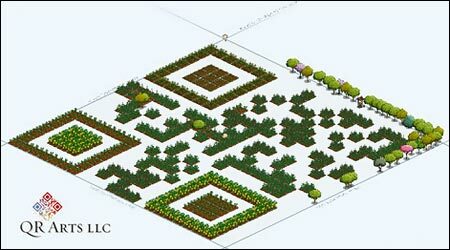 Another example is putting codes in a virtual world, such as the code below which was planted in a Farmville game. 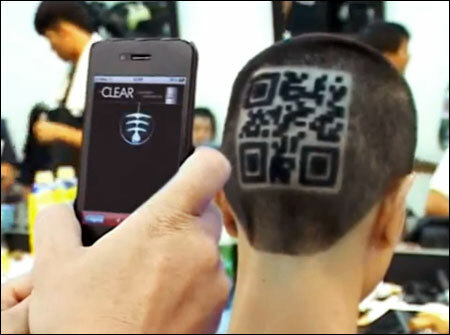 Early 2011 an ad agency in Thailand created a campaign for a shampoo using a team of people with QR-coded haircuts walking around Bangkok. The code was scannable and pointed to a specially created mobile site. 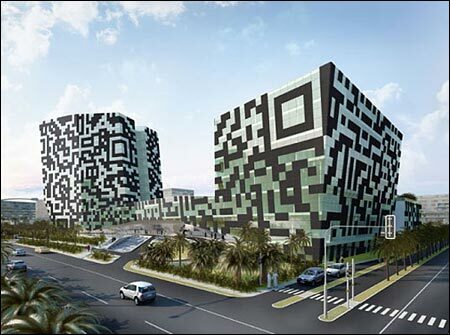 Another often cited project is a concept study for a hotel in Dubai that will be QR code themed. 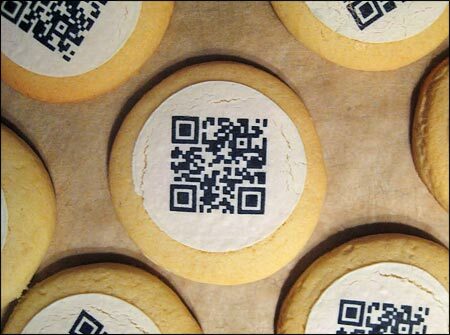 The series ends with the most delicious use of barcodes: QKies are German cookies that get a custom code on one side. Mashable has published a fun article showing various types of QR codes. I don’t understand the limits of abuse. The rabbit example shows extensive altering of the code but it still works? What part of the code can you wreck and what part must remain untouched and how do you know? Can you embed a lead capture link or similar in the code or can you have it take the user to a landing or squeeze page where you can incent them to register their e-mail? What a wonderful collection of novel ways to use a QR code for marketing and information purposes. Love the expiration date in the biscuit. Enter the URL of your site and select the prefered size. Click the ‘Generate’ button and you get the code. There are also applications that you can install on your Mac or PC to generate codes.